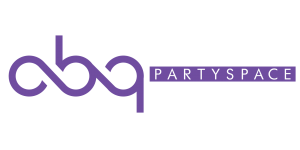 ABQPartySpace was created because Albuquerque really needed an awesome event venue where family and friends could throw incredible parties to celebrate life’s biggest moments. Sure, there are lots of fancy hotels, but they are really, really, expensive. We understand that the vast majority of people don’t want to spend $35 a plate, especially for a baby shower or kid’s birthday party. There are many event venues that bill themselves as a wedding venue in Albuquerque, but they have no dance floor. A wedding without dancing? We also know that the decorations you have at your party are part of what makes it yours. People want to put their own personal touch on their event. No two quinceaneras or Sweet 16′s are the same. Some people like glow in the dark and others want to dress the room to the nines. At ABQPartySpace’s banquet hall, you can bring your own food, or we can cater your event. You can decorate any way you like, as we give you plenty of free decorating time. You can use our DJ, bring your own DJ, or you can plug in your phone to our Wi-Fi. We provide hostesses and doormen. We can help you hire vendors, we’ll provide all of the linens, and we love catering special events. Our Albuquerque event venue staff makes throwing a party simple, easy, and fun! And because we can do all this for a fraction of what others charge, we can truly say we are ABQPartySpace — where Albuquerque celebrates! To see our Alcohol Policy Click here.